Probably the first acg related post for this time around in Korea Busan. Honestly never really got into the fandom of Gundam before though I know a certain friend of mine tried to poison me to watch Gundam 00 when I was in high school www. There was still a week till my semester in Korea officially starts. My parents followed me to Korea as well and so we had nothing to do until then. Since my father is also interested in plastic models and they lived in lotte hotel Seomyeon. 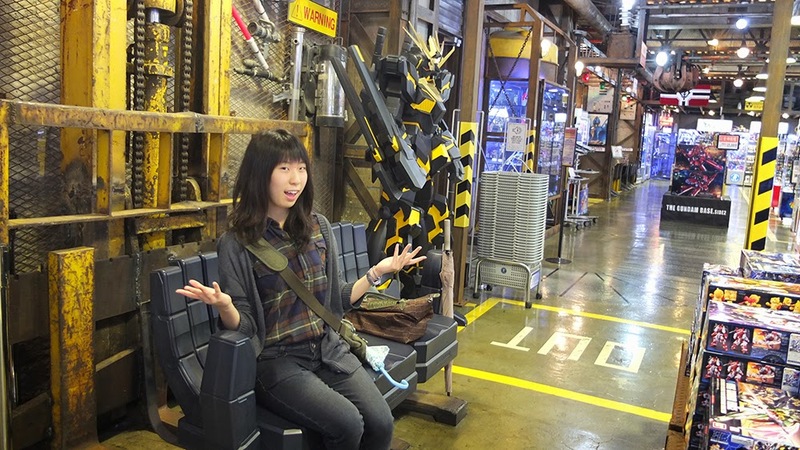 I suggested to go check out the Gundam Base in which they were actually fine with the idea. 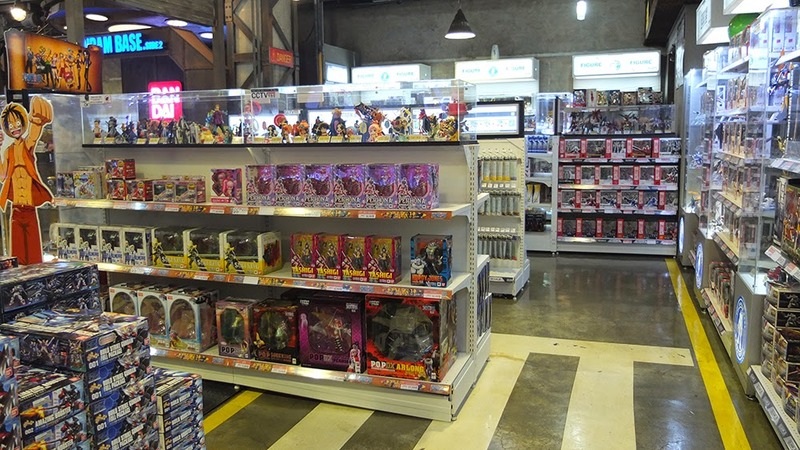 Gundam Base Busan is located at Dong Bo Plaza . Upon arrival at Dong Bo Plaza from the underground roads. We were greeted by a very big screen screening Gundam Build Fighters on our left hand side right opposite MCD as well as a row of Gashapon machines. 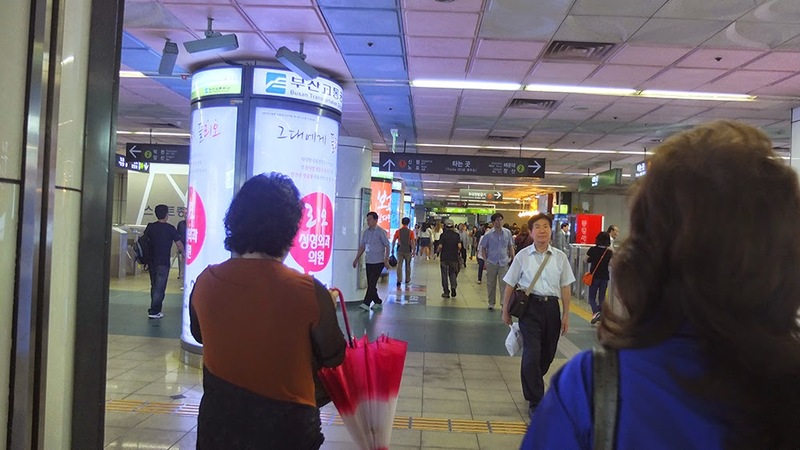 Right in front of us stood a pillar written with floor plans of the whole Dong Bo Plaza (동보프라자). 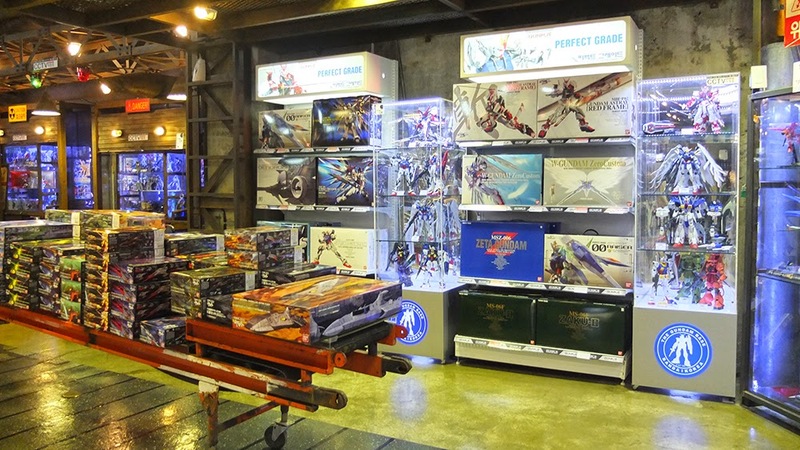 The Gundam base is located in the basement. Pretty snuggish. with their wallets of course XD. There were also cosplay costumes on display from one of the gundam series, Gundam Seed. Aside from just having Gundams being sold here. 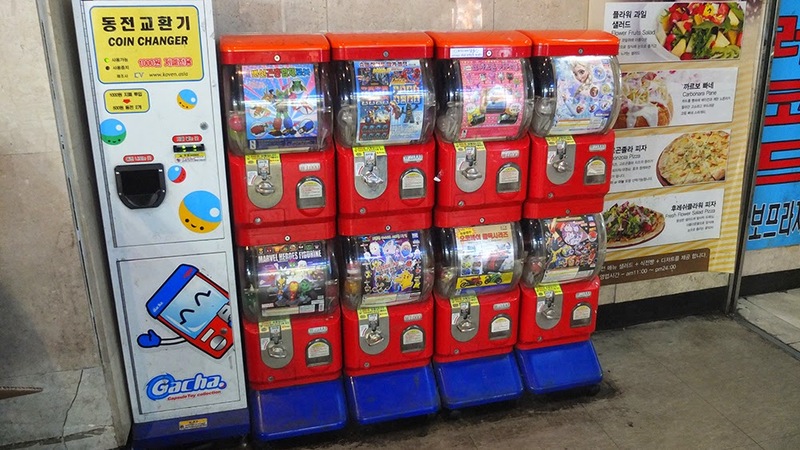 Other products manufactured from Bandai are also sold here which includes plastic models and action figures such as Taibani figures and random kancolle ship models. 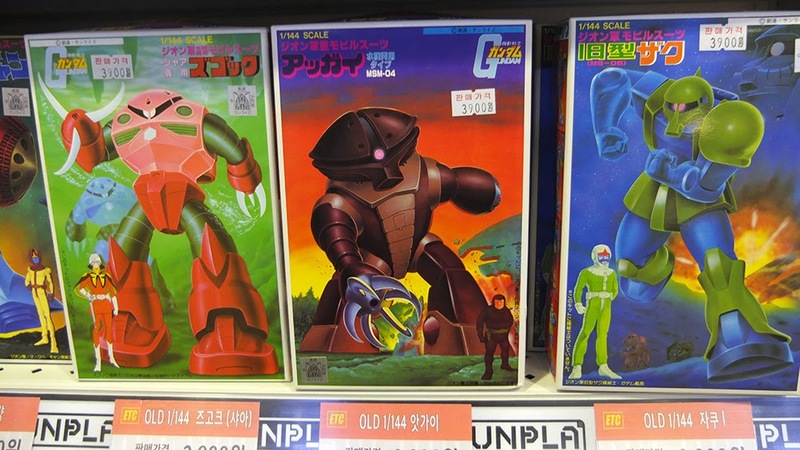 There are also some hard to find gunplas here that couldn't be found in Malaysia like the Acguy mg and other stuffs. Honestly out of all the Gundams, I have a soft spot for Acguy (probably due to that gag manga kidou senshi Gundam San). And surprisingly my mother as well took a liking to Acguy too ._. And of course behold, one of the largest kits up to date. 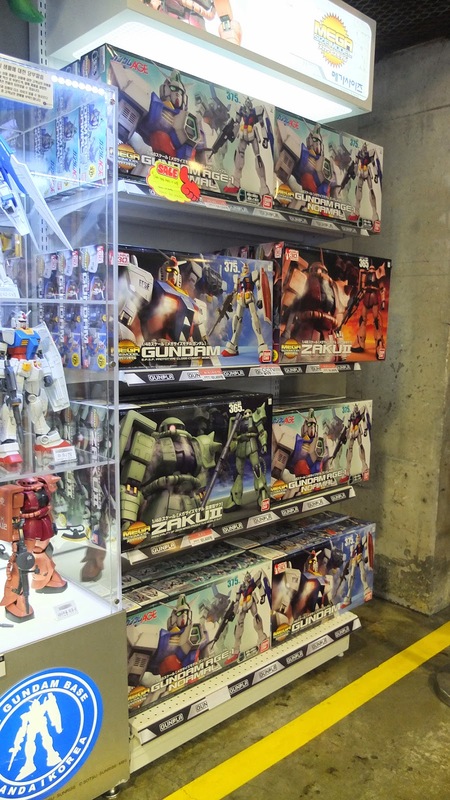 The Neo Zeong is also sold at this official bandai store as well. And of course, for a hefty price. 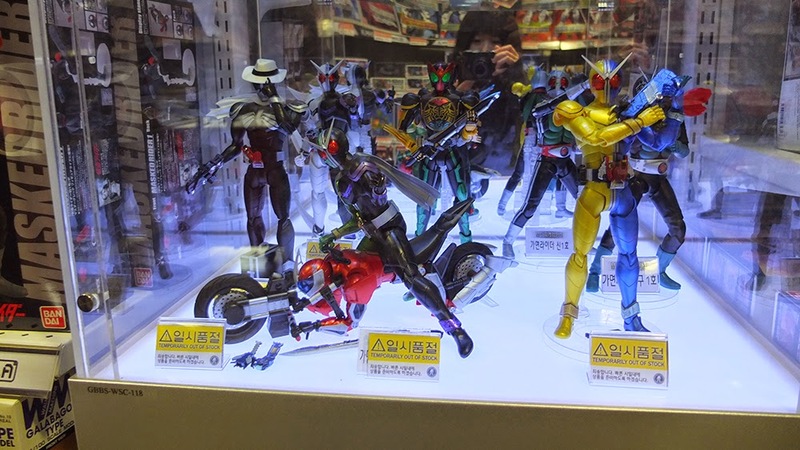 There were also some Kamen Ride Figurines for sale. and uhh I am not sure whether this is a normal thing from the series but damn I find this weird. and if u cannot afford to buy the neo zeong that can fit ur baby stroller, maybe get the smaller one? its currently sold out here though. 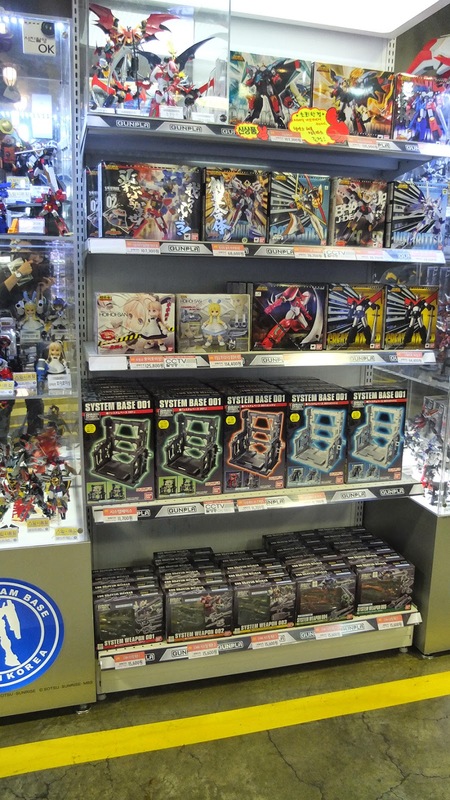 There is also a tcg corner for those who play Gundam trading card games. And Gundam Build Fighters music playing on loop in the background ._. There were also these super old vintage kits for sale in one of the small corners. As a lover for vintage old school art, I couldn't resist but to buy the Acguy kit in the end as a souvenir upon visitng the gundam base. Yeap the bench are Gundam hands. Just so you guys know, this place is actually really big! The photos I took may not be much justice but it is huge. Those pilots out there who are interested. 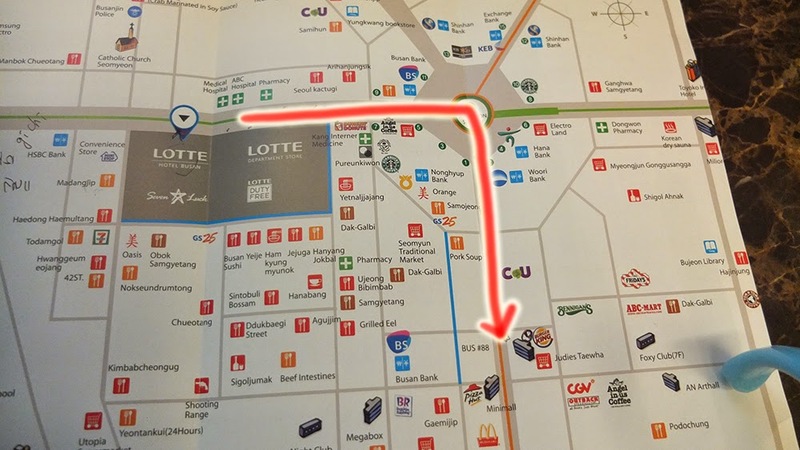 Here is a map from lotte department /hotel underground path. From lotte you keep going straight passing by in between nature republic and the face shop towards the subway station. Keep going straight until you see a flight of stairs, go up those stairs and soon u will see ways splitting either to the left or right. and then keep moving forward and you will see plenty of shop lots selling accessories and clothes. When u pass by standard chartered (should be on the left side), start keeping to your leftest side of the road until u see a sign where it shows Dong Bo Plazza on top on your left. Then turn to your in and walah! You are already there! the map, its actually quite close to judies taehwa. passing by the station in order to get to that flight of stairs. 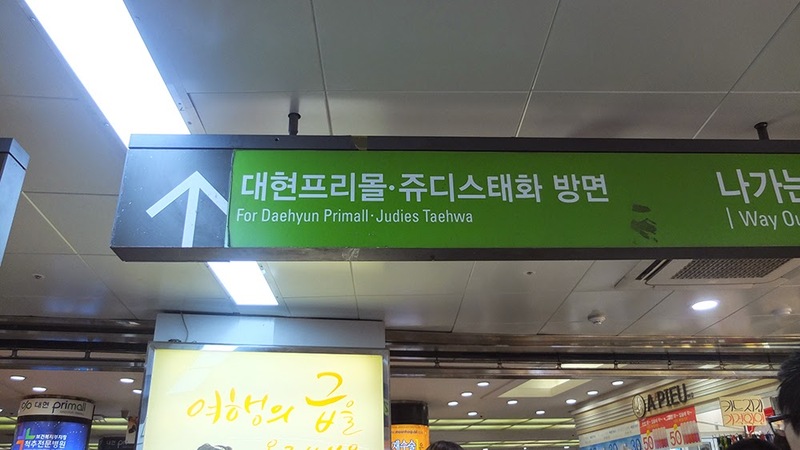 just follow those sign boards to Judies Taehwa and You wouldn't loose your way. Shop lots after upon turning to your right after the flight of stairs. keep to the leftest part of all the shop lots and u will see the signboard of Dong Bo plaza there on your left. 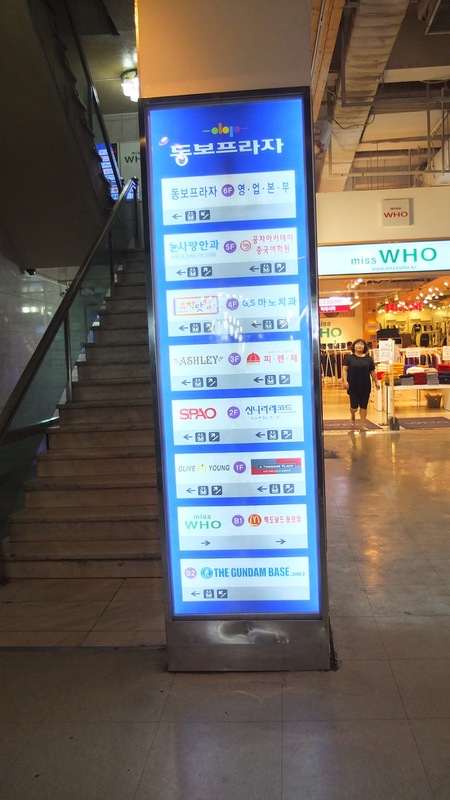 Dong Bo plaza is written in Korean in Blue. 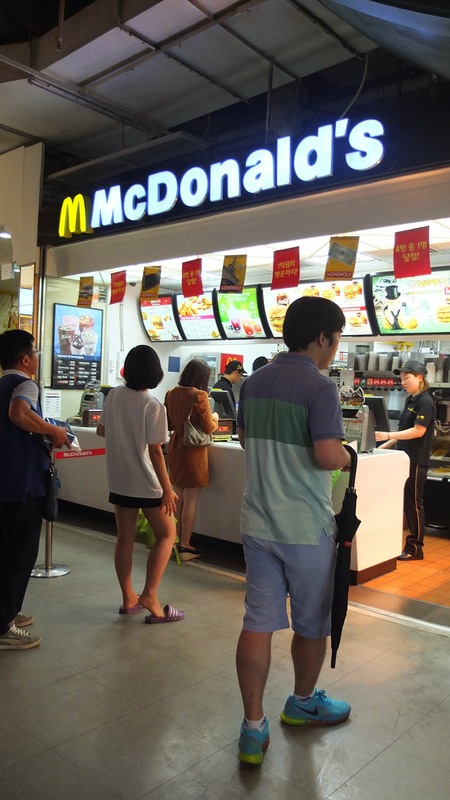 There will be a screen screening random gundam animes and a mcd there. This is the greatest find in Busan! Thank you for the easy direction! Encourage everyone to check it out! Awesome. 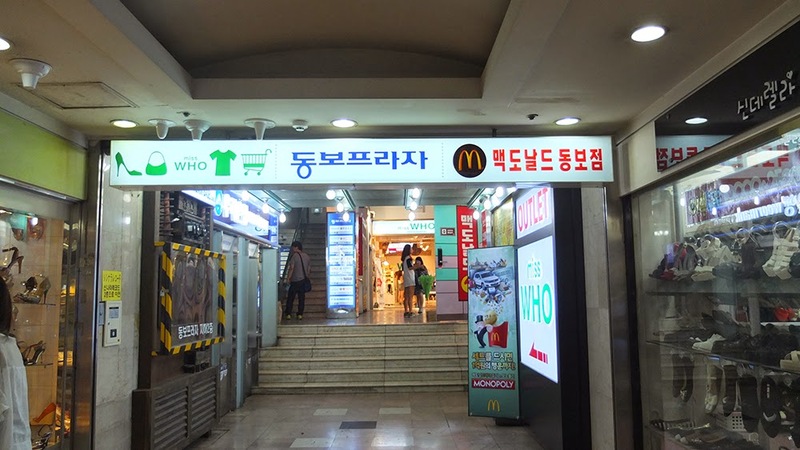 I went there but couldn't find it because I wasn't really at Dongbo Plaza but in a nearby area. I got rained out. It's hard to find these kinds of model supplies outside of Seoul.